France Cruises has partnered with Gateway Destinations to offer a Bordeaux Wine Cruise and Exploration of Dordogne package. This 11-day program, departing Sept. 1, will explore the sub region of Dordogne for three nights and include a six-night cruise aboard the Mirabelle Hotel Barge. In Dordogne, guests stay in a typical farmhouse hotel. During their stay, they can explore the countryside. Truffle hunting is one of the highlights. Guests are then transported to the Bordeaux area, with a stop and lunch at Saint Emilion, to board the Mirabelle for a cruise along the River Garonne, the Gironde Estuary and the Dordogne River. Onboard, passengers will have access to the personal wine connoisseur who will educate them on different wines during the cruise. Guests also can participate in excursions that include wine tastings. The cruise-tour is priced at $4,625 per person double. The single supplement is $1,775. Space is limited to 22 guests. Included in the land portion are daily breakfast and dinner and daily guided excursions, including wine tasting and truffle hunting. 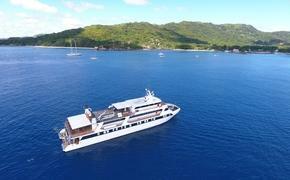 Also included onboard are all meals with wine and an open bar, all shore excursions, wine tasting and wine education. For more information, call 866-498-3920 or visit www.francecruises.com.